Many restaurants use sprouted seeds, nuts, beans and grains before serving them to give them a more interesting texture and taste. But sprouting foods can also increase phenolic content and antioxidant activity. The study authors found that garlic sprouted for five days had higher antioxidant activity than fresher, younger bulbs. They also contains different beneficial substances. In addition, it was also discovered that extracts from sprouted garlic protected cells from various damaging substances in laboratory studies. “Therefore, sprouting may be a useful way to improve the antioxidant potential of garlic,” they concluded (5). 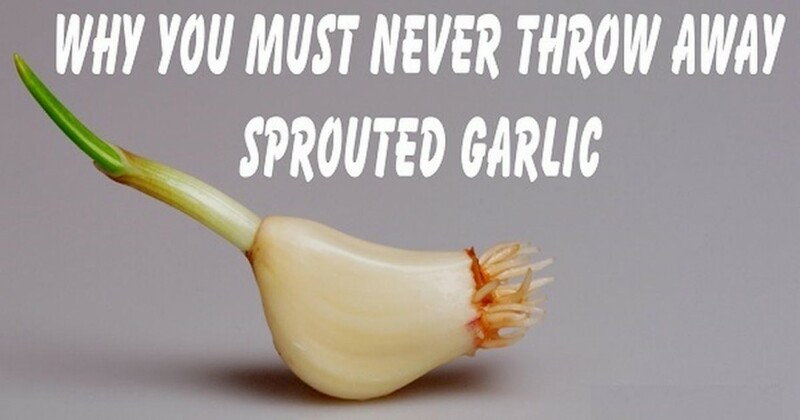 In short, eating garlic that has sprouted may even be better than garlic soup. Although you shouldn’t completely avoid regular garlic, you can still enjoy its benefits long after it’s sprouted. So the next time you a small green shoot, just remember that it still remains edible and that you don’t have to throw it away!